Our children’s health facilities are expanding, including one of the largest health infrastructure projects in the state – the new $1.2 billion Perth Children’s Hospital. Princess Margaret Hospital for Children (PMH) is a 220-bed, internationally recognised paediatric facility that treats children and adolescents aged 15 years and younger from around the state with approximately 250,000 patient visits (inpatient and outpatient) each year. PMH is part of the Child and Adolescent Health Service, which also incorporates the Child and Adolescent Mental Health Service, Child and Adolescent Community Health and the Perth Children’s Hospital Project. The health service treats children from around the state, and is committed to programs that promote lifelong health in children and adolescents. Maps: The following map shows the PMH site including buildings and surrounding roads. When it opens the new family-friendly hospital will have 298 beds, 12 operating theatres and provide access to the latest facilities, all specifically designed around the needs of children and their support networks. 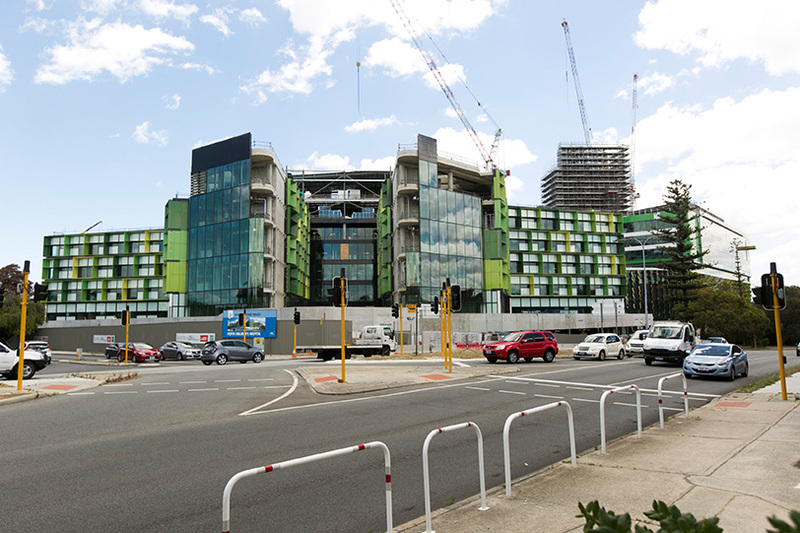 Located in the heart of the Queen Elizabeth II Medical Centre in Nedlands, the hospital will form part of a centre of excellence for health and research and host major paediatric research and education initiatives led by the Telethon Kids Institute and the University of Western Australia. Perth Children’s Hospital will be the specialist paediatric hospital and trauma centre for WA. But it’s part of a much bigger healthcare picture, with other new and expanded facilities for families and children around the State. The new $1.2 billion hospital is planned to open to the public in 2016.